Three hundred and ten miles above our planet's surface, near-Earth space is abuzz with action. Here begin the Van Allen Belts, a pair of concentric rings of fast-moving particles and intense radiation that extends more than 30,000 miles farther into space. For the most part these particles are confined to this special region, spiraling along Earth's magnetic field lines. But sometimes they come too close and crash into our atmosphere—creating the eye-catching diffuse red aurora, but also potentially interfering with critical communications and GPS satellites that we depend on every day. Funded by NASA, The National Science Foundation, and industry partners, ELFIN is a CubeSat mission. CubeSats are small and lightweight satellites, measured in standardized 10-by-10-by-10 cubic centimeter units, that are comparatively quick to develop and come with a price tag at a fraction of larger satellite missions. 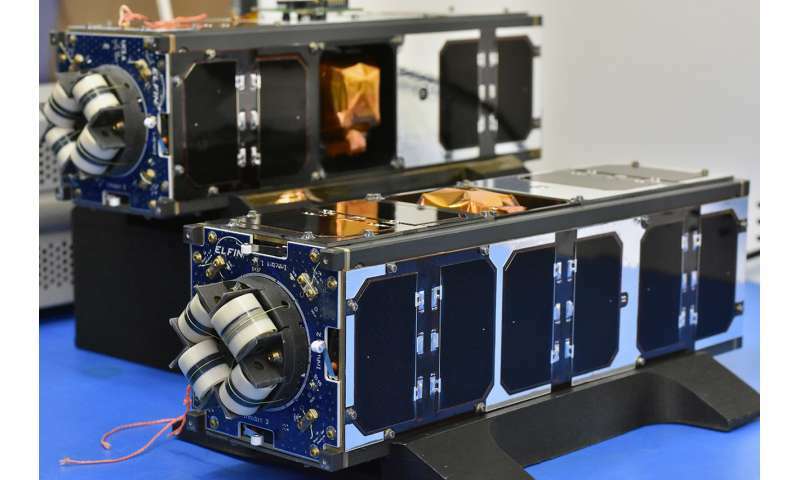 ELFIN uses two identical 3U, or 3 cubic unit, CubeSats—both about the size of a loaf of bread. By using two satellites instead of one, ELFIN will be able to measure how the precipitated electrons vary across space and time. Designed, built and tested by a team of 250 UCLA students over five years, ELFIN will be the first satellite developed, managed and operated entirely by UCLA. A key advantage of CubeSats is that they allow an inexpensive means to engage students in all phases of satellite development, operation and exploitation through real-world, hands-on research and development experience. On launch day, ELFIN will hitch a ride as a secondary payload on a Delta II rocket with NASA's Ice, Cloud and land Elevation Satellite-2, or ICESat-2 mission. ICESat-2 will measure the thickness of ice sheets, glaciers, sea ice and more to document how Earth's cryosphere—the frozen water part of the Earth system—is changing over time. 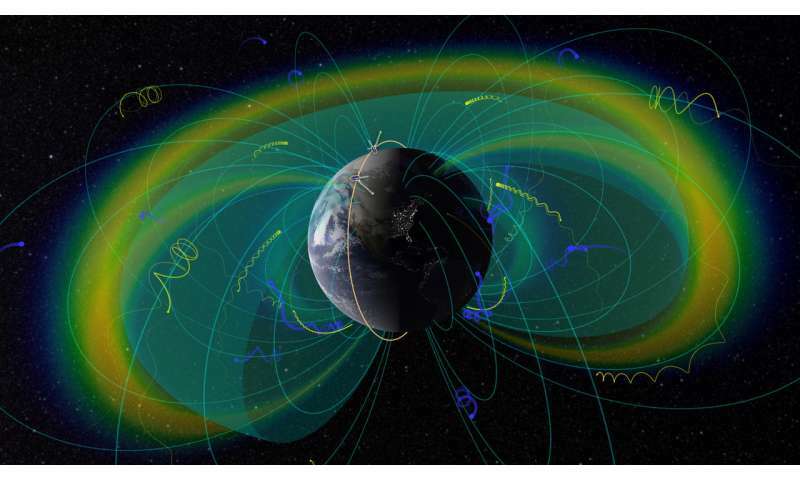 "The Van Allen radiation belt, a zone of energetic charged particles, most of which originate from the solar wind, that are captured by and held around a planet by that planet's magnetic field. Earth has two such belts and sometimes others may be temporarily created. The discovery of the belts is credited to James Van Allen, and as a result, Earth's belts are known as the Van Allen belts https://en.wikipe...ion_belt "